While it might feel like it sometimes, Google Search isn’t the only search engine on the planet. Thus, many of our clients opt for Bing Search campaigns. 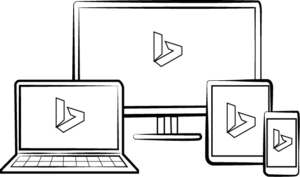 With Bing Search campaigns our analysts will bring the same level of insights, expertise, and enthusiasm that we bring on Google Search campaigns. Depending on your industry and audience, Bing can often drive tremendous value as running a Bing campaign may have been overlooked by your competitors. is proud to be a Certified Bing Ads partner and is eager to work together. Contact us today for more details on running search ads on Bing with .